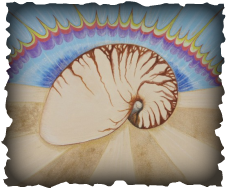 Healing , Spiritual Alchemy and Personal Growth through Visionary Art. Soul Connection is founded on the importance of being connected to oneself, to others who share the vision of our connection to each other, and to all of life. Total well being requires a willingness to take an active role in the creation of health. Connection to body, mind, heart, and soul are essential in living a full and productive life. Soul Connection is dedicated to assisting those who find themselves feeling like something is missing in their lives. In our busy, beta state we often get disconnected. We become “human doings” instead of “human beings”. The pressures of life build up and we begin to feel disconnected and separate. Separate from our joy, from Spirit, from ourselves and the rest of the world. Eventually dis-ease and illness set in. This feeling of disconnection/separation, however, is an illusion. What we really need is to take the time to slow down and listen - Listen to our bodies and the messages they are sending us - Listen to our soul and learn to discern the way it speaks to us. We need to take time to restore and balance our energy system and honour ourselves as energetic/spiritual beings. The soul and the personality (ego) are not separate. The soul expresses itself through the personality and the creative animated physical body. We gain connection to our soul through meditation, spiritual practice and service. Soul Connection offers a pathway to return to balance and fully experience who you really are, what your purpose is and how to manage your energy through visionary art and the messages it offers to you at a soul level. You are welcome to journey through our website and discover the ways Soul Connection can assist you. You have found this site for a reason. Knowing that something is "not right" and asking for help is the first step to connection. You are not alone and you do not have to do it alone. Your Soul or high wise self is always there to assist you.